This is George. 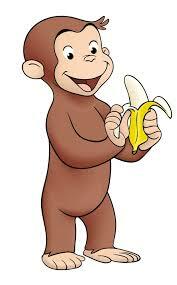 He was a good little monkey and always curious. One day George had just found out that he had won a new private jet. The next day George said, “Let’s go to Loch Lomond School.” The man with the yellow hat said, “Yes, let’s use our new private jet. I can take you there.” They flew to Loch Lomond. 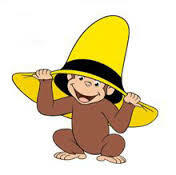 Then the man with the yellow hat took George to Room 209. The man with the yellow hat left George there. In the classroom George jumped on Table 1. He accidentally ripped Emely V.’s math paper. Everyone at the table told George to stop jumping. Then Mrs. Wright said to George, “If you jump you will have to sit out for extra recess. Soon it was time for lunch. He got pizza sticks and everyone in the room got pizza sticks. Everyone ate their lunch. Then the class went inside for two hours. They watched a Curious George movie. When it was time to go home, the man with the yellow hat landed the private jet in the school parking lot. George got in the plane and they flew back home. This is George. He is a good little monkey and always curious. One day George used his rocket boots to go to Loch Lomond School. 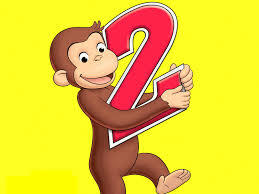 Curious George saw the class going to Art and George followed the class. George tripped over a rope and the bucket of paint fell on Ms. Ivan. At recess George was playing with Austin. They were playing with water guns. George tried to squirt Austin. A kindergartener was behind Austin and the water gun splashed on the kindergartener. He fell but he didn’t get hurt. Soon it was lunch time for George. At the lunch table Ranch salad dressing got squirted on George’s head. He thought the sky was falling. His nice friend Hy told him Austin did it. Then George, Hy and Austin got in a food fight. George went to the office and got into trouble. So now he was friendly to Austin. Then George wanted to do good things because he felt bad. At dismissal he hoped to come back to school because it was fun at Loch Lomond. Then he bumped into Emely and George started arguing again. He had not learned his lesson! This is George. He is a good little monkey and always curious. One day George asked the man with the yellow hat if he could visit his friends at school. The man with the yellow hat said, “Yes.” So they went right away to Loch Lomond School in the Ferrari. George went to the cafeteria to get breakfast. He got a bag breakfast like he saw the kids getting to eat. He saw his friend Luis at breakfast and they went to Room 209. He was eating his breakfast and he spilled his milk on the carpet. He did not want to clean up the mess because George did not know where to get the paper towels. Mrs. Wright showed him where to get the paper towels. Then George cleaned up the milk. Now George started his morning work. Then the class went to recess and George was playing on the monkey bars. He wanted to build a mulch castle. He made a big pile of mulch to make his castle and George got so excited he threw the mulch. The teacher told George to not throw the mulch at the kids. George said, “OK” and he did not do it again. Then the class went to the library. George was new in the library and he did not know the rules of the school. George got a book and ripped the pages. Mrs. Hanna got mad. George lied to Mrs. Hanna about ripping the pages. She called the man with the yellow hat. George fixed the pages of the book with tape. At the end of the day, George told the kids that he was sorry for throwing the mulch. They said, “OK.” George got a good phone call home for his first day of school. One day Christian and I went to the city. We heard about a bank robbery. We tried to find Batman and we found the Bat Cave in the woods.We hacked in there to tell Batman about the bank robbery. He listened and then we told him to tell Robin. He did and we tried to find Superman. Batman knew where his secret lair was so we went there. We told Superman about the bank robbery and then we left to go find Spiderman. Christian found Spiderman swinging in the air from his webs. We told Superman to fly up there to tell Spiderman. He listened to Superman. We wanted to go straight to the bank to capture the bad guys. Batman told Christian and me to scurry to the bank to take care of some of the bad guys and they would take care of the rest. Then ten minutes later we were done. I gasped because we had stopped the bank robbery. Then the news came to talk with us. We talked for a little while at the TV station. 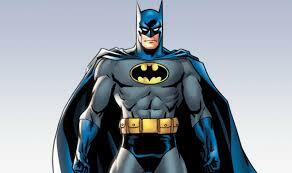 Batman said that we made a good team and whenever there is trouble that we will help save the city. 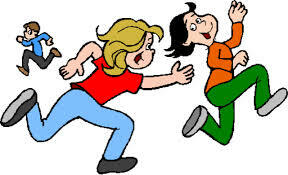 My favorite outside activity is freeze tag because you can run around and freeze people. It is good because you get exercise when you run and you can get skinny. You can tag other people. You can play freeze tag in the water, too. Tiyanna and I tag my brother when we are playing freeze tag. Freeze tag is fun because you are the tagger. I love freeze tag. Do you like freeze tag? It is my favorite thing to do outside. 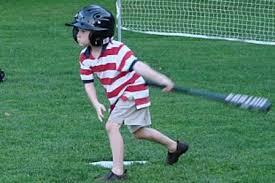 My favorite outside activity is baseball because I can throw the ball to Ethan. I can hit a home run. I can win if I get enough home runs. Baseball is my favorite thing to do. My favorite outside activity is soccer. You can kick and slide in soccer.You can take breaks and you can hit the ball with your head. Playing soccer is my favorite thing to do outside. 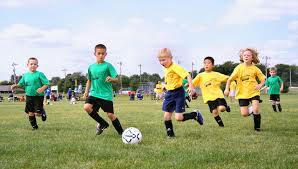 My favorite outside activity is soccer because I like to kick the ball hard to make goals. I like to make lots and lots of goals! I like to play soccer because it gives me energy. If I get more energy I can hit the ball with my head and it will go up to the sky. When it falls I will score a goal. Soccer is my favorite thing to do outside. 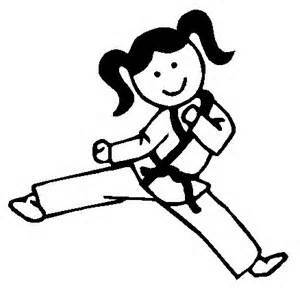 One sunny day I went walking to karate class with my dad. My class was just starting and I made it just in time. I streaked to the building. My class had just started to practice kicking the punching bag. I kicked the punching bag so hard it broke and water splashed all the way to the Great Lakes. I was so tired and thirsty from practicing I drank water all day long. My dad was so proud of me. We went to Chuck E. Cheese to celebrate. One snowy day Thumper, my bunny, woke up in the middle of the night. He streaked to the refrigerator so fast that he caught the floor on fire! Thumper was surprised when he got there because the refrigerator was 200 feet tall. When he opened the refrigerator it was full of carrots. He was so hungry. Thumper ate 1,000,000 carrots. When he looked in the mirror his belly was a big as a yoga ball. Thumper rolled to his cage but he didn’t fit in the cage. Then he bounced on the couch and fell asleep. 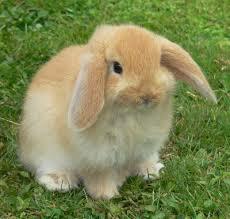 Then Thumper dreamed of discovering more carrots. Sally Dolphin, Bob Shark and Mr. Puffer lived in the beautiful, humongous Baltimore Aquarium. Every day they loved to swim and watch the people who came to visit the aquarium. All day long Sally liked to streak quickly through the water. Then she would jump high in the air and dive deep into the water. Sally loved to play this way all day long. Bob Shark was mean to the other sea animals. He chased them all around the aquarium and Bob wanted to eat them. 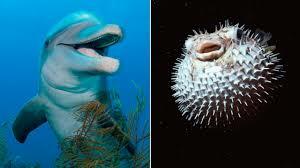 Bob tried to eat Mr. Puffer because puffer fish is his favorite food. Mr. Puffer was always afraid and puffed up when Bob was near him. One day Bob chased Sally near the coral reef. Sally tried to escape from Bob Shark. She wove in and out of the beautiful, colorful coral reef. Suddenly, Sally tried to squeeze through a space in the coral but seaweed blocked the opening and she got stuck! Sally wiggled, twisted, turned and swung her tail but she still couldn’t get free. She knew that she needed to get to the surface of the water to breathe. Sally yelled, “HELP, HELP. I’M STUCK. COME SAVE ME!!! Did you know that the thread snake can be as small as a toothpick? There are many different kinds of snakes and the smallest is the thread snake. It is only about 10 centimeters long. A snakes’ skin can be gray or brown and sometimes it has a pattern. Did you know that cobras are able to tell the difference between their trainer and strangers at a zoo? 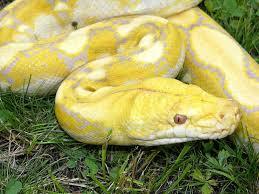 The biggest snake is the reticulated python. It can grow up to 33 feet long! The anaconda weighs as much as four hundred pounds. A baby elephant can weigh that much. The rattle snake rattles its tail to scare away its enemies.Some snakes use their tongues to smell so they can find food. Some snakes live in the grass or in the water. Snakes can eat pigs, mice, eggs, lizards and frogs. It is fun to learn about snakes. I wonder if there is a purple snake. I wish I could see a purple snake up close. 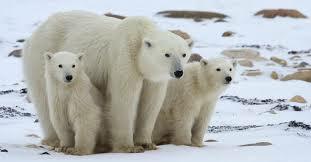 I think polar bears would not make a good pet because polar bears are wild animals and they live near the North Pole. They live on the edge of the ice pack. Polar bears have transparent white fur with black skin.They are 10 feet tall. They are the largest of all bears.The polar bears favorite food is seal. Polar bears can smell a seal through ice that is three feet thick. They also eat walrus, sea lions and fish. Male polar bears do not hibernate.Female polar bears build a maternity den in the snow and ice. Polar bears are excellent swimmers. They swim using the dog paddle. They can swim farther than 50 miles at one stretch. Did you know a polar bear can eat a human but that it rarely happens because not many people live near the polar bears. Did you also know that all polar bears are left-handed? Did you know that cheetahs do not roar? They purr like pet cats. I would like to tell you some more interesting things about cheetahs. When they run they use their tails to steer them in the direction they want to go. 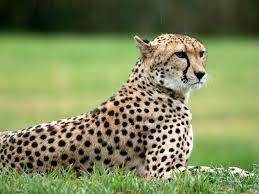 Cheetahs live in Africa and Iran. Cheetahs are tan with black spots. They have long, slender legs and a “tear stripe” on their face. Cheetahs eat gazelle, baby wildebeest and impala. It is fun to learn about cheetahs.